This is a short blog item I posted to our new internal community at the Master’s Program in Learning & Organizational Change at Northwestern University (MSLOC). The “water cooler” references a section of the community where all the participants can engage more informally, outside of structured classes. This has become one of my favorite new images. I’m sitting here alone in my office (which is, oddly enough, literally 10 feet away from a real water cooler) writing to — who exactly? I’m not sure. Could be any number of people. To be honest, I’ve learned to not care. To trust that — in the digital world — you just need to be brave enough to go half-baked sometime. 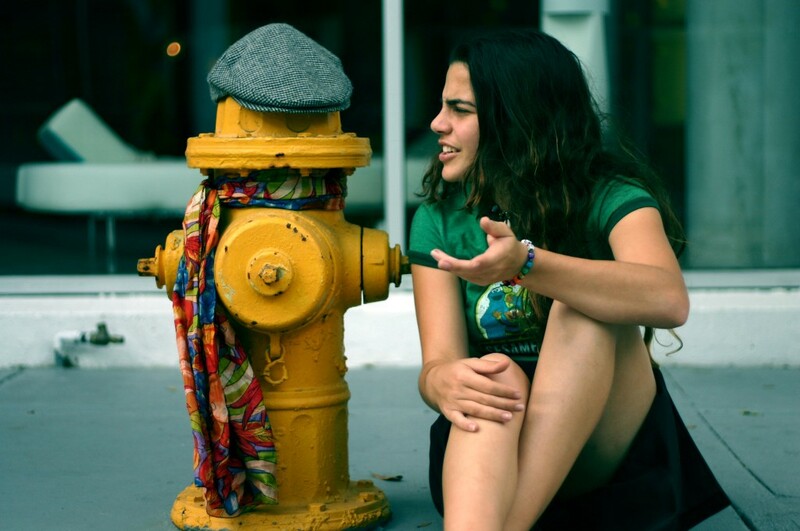 Even if it feels like you are chatting up a fire hydrant. What you learn, though, is that the fire hydrant will talk back eventually. Ok, that’s a weird analogy. But stick with me (and yeah, I’m stealing from Bill Clinton saying “Listen to me now. This is an important point.”). Real conversation can happen in a digital space. It’s just a bit more disconnected in time, often coming together in temporary little spurts of back-and-forth posting. Sometimes it spills over into real (non-digital) conversations and comes back again. I have often had the experience of engaging in a quick chat on Twitter, or via blog comments, and sharing it with peers or friends. It helps me to make sense of things. And I return the favor by adding my little insights back into the digital world. So. What does all that have to do with the MSLOC Water Cooler? We have a truly amazing community of people at MSLOC and we’re always looking for ways to enjoy and benefit from that amazing-ness even more. Make the Water Cooler your place to discover something new about the interests, ideas, humor, intelligence of your MSLOC peers. Just start by posting anything that interests you and trust that the fire hydrant will talk back. So fun Jeff. Thank you for this post. I’ll be a fire hydrant.